Construction is considered to be one of the leading industries in the United States. According to The Associated General Contractors of America, approximately $1 trillion in structures is created in the country, per year. These structures are built by an estimated 650,000 construction companies and more than 6 million construction workers, nationwide. The United States Department of Labor reported that In 2016, 4,693 on-the-job fatalities occurred. Of that number, 991 (21.11%) were in construction. According to the Bureau of Labor Statistics, in Virginia alone, there were 24 construction accident fatalities in 2014, 25 fatalities in 2015, and 23 fatalities in 2016. Furthermore, the Department of Labor estimates that by eliminating the top four causes (“Fatal Four”) of construction accident injuries (listed below), 631 lives per year would be spared. Construction workers must use a variety of tools and equipment to complete different tasks. From light and handheld to heavy-duty rigs and machinery. Laws are in place to ensure that the handling of equipment is done carefully and safely, however, construction sites are still very much hazardous. Even with the use of safety gear such as gloves, goggles, masks, hard hats, and harnesses, accidents can still occur. When negligence is added to the mix, the potential for an accident increases exponentially. Fall protection – employers are required to check the stability of surfaces and provide proper protection from falls. Hazard communication – employers are required to inform employees about the nature of toxic and hazardous chemicals. 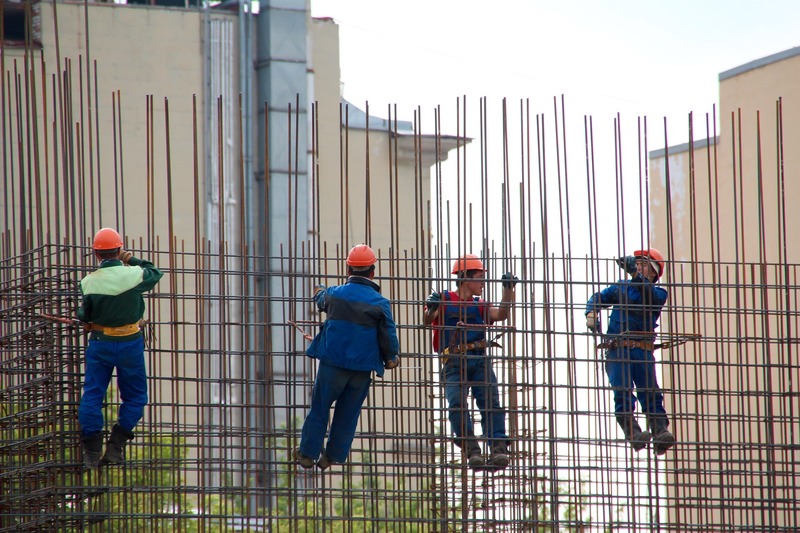 Scaffolding – employers are required to ensure that scaffolding is installed properly and that the weight held by scaffolding does not exceed the maximum weight allowed. Respiratory protection – employers are required to ensure that employees are not breathing in contaminated air by providing masks and respirators when necessary. Control hazardous equipment – employers are required to ensure proper maintenance of equipment and to set equipment for minimum performance in order to avoid] accidents that can arise when starting a machine. Ladders – employers are required to ensure that ladders are stable and can hold 3.3 times the intended maximum weight capacity. Powered industrial trucks – employers are required to ensure that motor-powered (non-gas) trucks or hand trucks are in proper working condition and that they are safe to operate. Machinery and protection – employers are required to ensure that employees are safe and protected in areas where machinery is used. Fall protection training – employers are required to provide proper training to employees who may be exposed to fall hazards. After a construction accident, it is important to seek medical attention. Your employer may provide medical assistance on-site but it is important for you to seek the help and advice of your own doctor and/or medical care team. Once medical care is provided, your employer may try to get you to sign forms. It important that you do not sign anything until you get in touch with a construction accident attorney. Signing forms provided by your employer may waive your rights and clear your employer from being held liable for your accident. Our jobs are an integral part of our everyday lives and help ensure our well being and the well being of our families. Regardless of the industry, we should be able to perform our occupational duties without a risk to our safety and our lives. An accident can occur at any given moment but when negligence is to blame for an accident, it is important for the negligent parties to be held accountable. If you were injured in a construction accident due to negligence or if a construction accident led to the tragic death of a loved one, contact an experienced construction accident attorney immediately. Your attorney will carefully review the details of your case, determine fault, and make sure you get the compensation that you deserve.